$360.00 (Includes all Materials) . There is nothing like the experience of using sharp tools. Where the actual tool does what you want it to do with ease. You should not have to fight with your tools. They should work for you and with you. 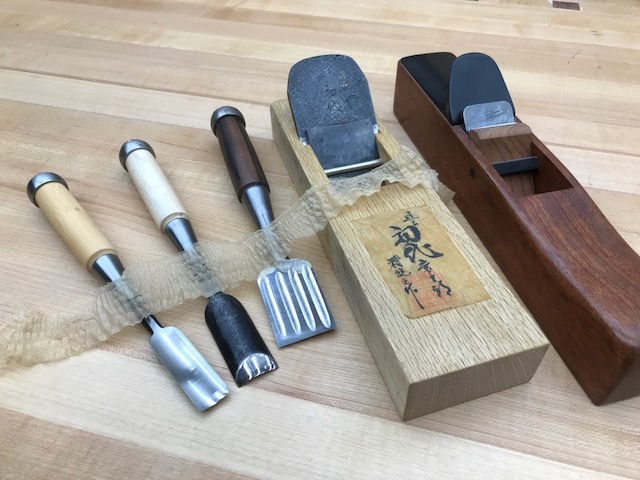 In this class, we will cover a variety of techniques for sharpening edge tools including the use of Japanese water stones. We will sharpen a bevel-edged chisel, Carving and non-flat tools, a plane iron and a cabinet scraper. You will learn how to flatten, grind and hone your tools until they are razor-sharp. I will also demonstrate a few simple tricks in adjusting your hand planes that will enable you to take shavings to a thousand of an inch. By the end of this class you will have much confidence with your hand tools and will be reaching for them more often.